– digitise your on-site paperwork and audits. Veri is the Google award-winning training compliance QA software. Working with Irish Red Cross, Irish Wheel Chair Association and Local Enterprise and Education providers around Ireland. Unlike Excel and paper or even form filling software, Veri will measure and improve the return on your huge investment in employing delivery agents to succeed with your education, enterprise and training programmes. The App hosted on the Veri dashboard is a tutor personal cabinet with full access to programme materials. We will have monthly content based on important issues such as Compliance, Quality Assurance, QQI Re-Engagement and Legislation. 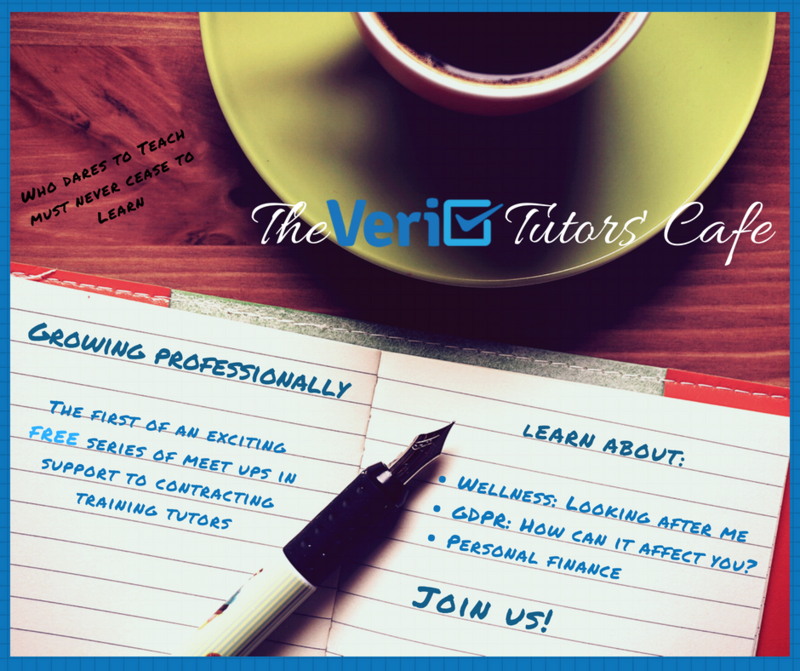 The Tutor Cafe will offer much needed tutor downtime by providing information on health and well being, finances such as pensions and savings and other relevant information for every tutors needs.